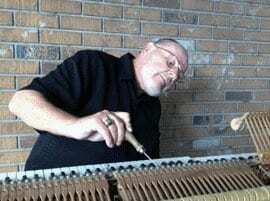 Why does a piano need regular tuning? 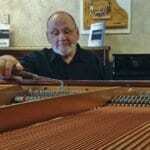 My name is Phil Frohna and I am a third generation piano tuner / technician. Raised in Milwaukee, Wisconsin I learned the trade from my father, who learned the trade from his father. 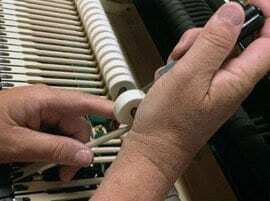 After working for the Kawai, Yamaha, Steinway, Bosendorfer and Bluthner stores over several decades, I decided to become a Tampa Bay piano tuner / technician in 1992. 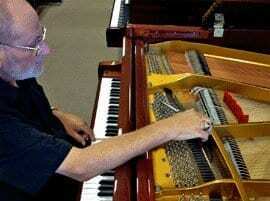 I am now the chief piano technician at Dave's Piano Showroom serving Tampa Bay. 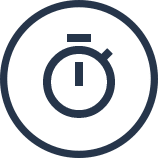 I service the following areas: Tampa, Brandon, Valrico, Riverview, Lithia, Plant City, Suncity, Wesley Chapel, Zephyrhills, Dade City, Lakeland and anywhere else in the Hillsborough, Pinellas, Pasco and Polk counties. 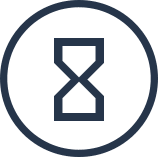 Piano strings are under a great deal of tensions which is supported by the cast iron plate, pinblock, tuning pins, bridges and soundboard. 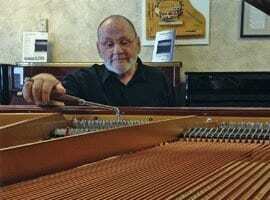 My name is Phil Frohna and I am a third generation piano tuner / technician. 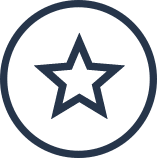 Raised in Milwaukee, Wisconsin I learned the trade from my father, who learned the trade from his father.